Caution! Read at your own Risk! 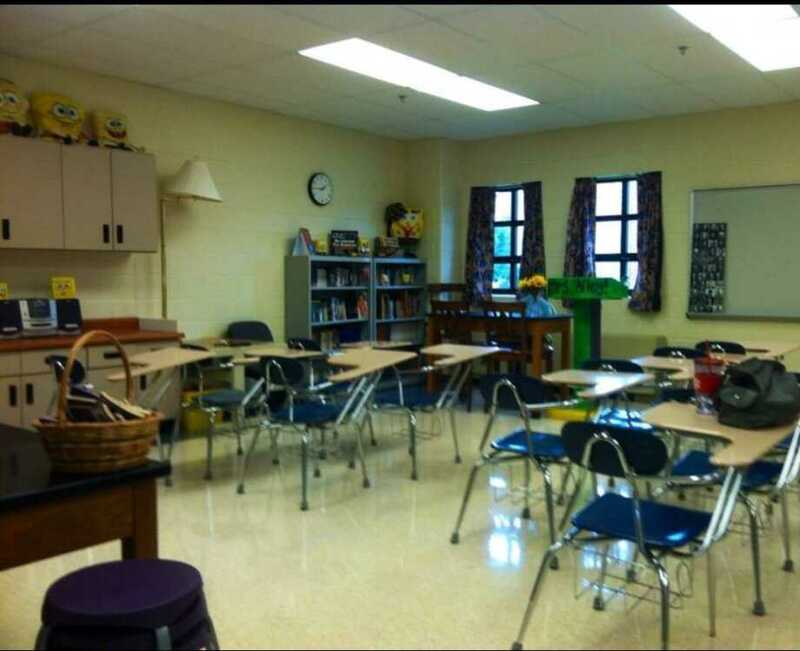 My classroom at DMS where I finished my teaching career. Today I'm thinking seriously about poverty, legalism, and hypocrites. Watch out! I may step on some toes. Be forewarned. Your toes may be stepped upon as this lesson unfolds. No scanning or skimming today students. Please read it through the end. As a teacher in the public school sector, I'm well aware of the "Culture of Poverty" in our country. We, our republic, helped to manifest it and give it steam. It began by trying to "help" instead of empower our minorities after the Civil War. We had a good plan with Freedman's Bureau and other outreaches. If you don't know what I'm talking about, educate yourselves. The intent was to "teach minorities to fish not give them fish." Ask any person who marched during the Civil Rights Movement did they want a "check" or social justice and mobility? They would choose the later. Some of you should insert ear plugs now. The lack of opportunities of the black male in our society helped fuel the welfare need. The black males couldn't be the head of the household and the breadwinners because President Andrew Johnson stopped Lincoln's Reconstruction plan prematurely. The South quickly began segregation of the races and resources. We emasculated our black males. Now, let's look at the effects. Many black males grow up without a father figure. Look at the breakdown of the family structures. Where do they find leadership and safety? Gangs. Many black youth have embraced the "Culture of Poverty" in their songs and actions. Rap. Whose fault is it? I'll let you decide. Xenophobic actions are NOT new. Please hear me. Yes, this madness started with Dutch traders on the West Coast of Africa, but it became a plague that consumed America. We have to for the sake of our nation, be the cure. Is it too late? Never. We need to stop burning bridges and create a "Culture of Kindness for All." The social fabric of our country is weathered and torn. Will you help me mend it by a simple gesture of kindness? A mere smile or random act of kindness is all we need to start a revolution of love. Do "good fences really make good neighbors?" I probably should have ended with the poverty section because I fear many may have just hit the delete button. If you're still reading students, let's look at legalism. Here's the definition: dependence on moral law rather than on personal religious faith. Hmm... My reading yesterday was about the Pharisee who went to the altar and prayed, "Thank you God that I'm not like that tax collector. I pay my fair share. Look at all the wonderful things I'm doing to be deserving of your forgiveness and Grace." While the tax collector can't even face the altar or raise his eyes up to God. He beats his chests in misery of his own wretchedness. He owns his sinfulness. He says I'm not worthy. Who was cleansed of their burdens? You make the call. Let's take a snapshot of the life of a legalistic. How's does a legalistic appear in church? Look around next time you attend church. The legalistic person will look sour, sad-faced, and inconvenienced for having to attend church. The legalistic person has problems receiving God's Grace. He or she has sins that they can't bring to the light and admit they are guilty. #admityourwrong It's impossible to do this on your own. The "yoke" has to be placed on God's shoulders. Hence, they frantically try to "earn" it through service of gifts. If you just heard someone degrading others, you've been exposed to the plague! Here's a great explanation: "Christians using harsh language to condemn Muslims, atheists, liberals or gay people, you have just identified a legalistic spirit." Legalistic people don't get that God's Grace is extended to ALL. Legalistic thinking wants to enforce social mores (more-ays) on dress, make-up, jewelry, sports, movies, books, wedding rings, tv, etc. God is concerned more with inner conformity than outward conformity. If your life is consumed by what is holy, your behavior follows what is proper in our social systems and morals. What about legal traditions? The Pharisees and many today are hung up on the proper ways to worship. The new wave of contemporary music has caused quite a stir in churches. Some refuse to say it glorifies God because of the new "shenanigans" of worship being an abomination to the Lord. Sorry my legalistic friends, God is unchangeable by nature but who is to say he doesn't like new things. Students go to a Toby Mac or any Contemporary Christian concert or listen to K-Love and then tell me you didn't feel the Holy Spirit. This is your homework! Legalistic thinking embraces the thought that God's church is a country club. Only a few can attend and fewer go to the big party in the sky. They embrace that their churches are the only ones headed down the highway to Heaven. This is so sad. Oh, me! A song popped in my mind: "Come to the feast of heaven and earth. Come to the table of plenty. God will provide for all that we need. Here at the table of plenty." Sorry students. You know Ms. Alley loves to sing. Last, legalistic mindset traps and confuses the person. They put so much emphasis on obedience to rules that they miss God's beautiful Grace. Students I implore you to let that free Grace shower you today. You can't earn it. We are all sinners. Now, here's a scary thought. Legalistic mindsets are synonyms for hypocrites. Insert panic emoji! Do some people manipulate kindness and "work the system" for free food and checks while many middle men and women scrape by from one pay check to the next? Yes. Does it make me sad and even mad sometimes when the resources are squandered on drugs and materialism and the children are neglected? Yes. Hate, ignorance, and grumbling will never break the cycle of poverty. But, God's Mercy and Grace through us can be the "kryptonite" for poverty. You have to empower and educate all children for social justice. The younger the better, but as a teacher I believe we are never to old to learn. Oh, how I miss my classroom. Saint Paul 2 Corinthians 3:17 "Where the Spirit of the Lord is, there is Liberty"
"The soul aids the body, and at certain moments raises it. It is the only bird which bears up its own cage." Dedicated to all my students who are rising out of poverty and helping others rise as I type. Thank you for lending me your ears. Alright I will get more hotdog buns!